Should I Buy a Probate House? Have you ever heard of the term "probate"? 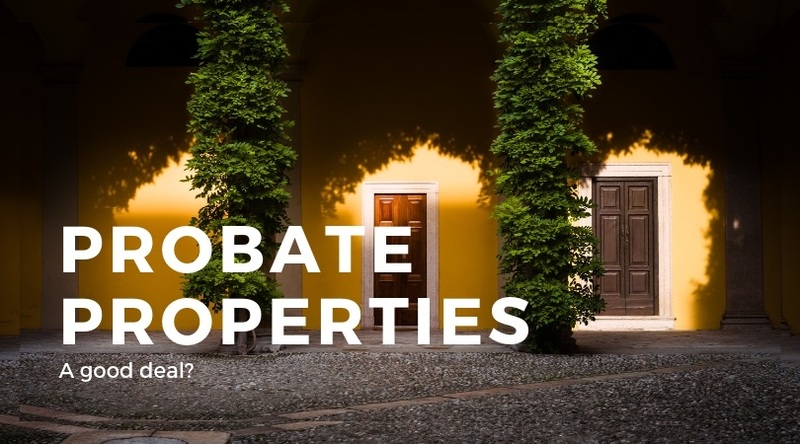 If you are an active real estate buyer, you've probably come across a probate sale at some point, however, most of us are not active buyers on a regular basis. We sell a home or we move out of renting and buy a house, typically without thinking about real estate until we need to buy or sell again, however, a probate is sometimes one of the best deals on the market and unless you know about them, you may steer clear. Many real estate agents discourage people from getting their hopes up on buying a probate or a short sale property, however, it could be one of the best deals you find. Here's the deal, a home is sold in probate when someone dies without a will. If there is no one to inherit the property, the probate courts take over and assign the property to be sold by a real estate agent, typically below value. The courts want to be certain that the property is marketed and sold at the best possible price, however, there usually undervalued. Probate laws can vary from state to state but a good real estate agent should know the ins and outs of probate sales for the area. Probate properties are marketed just like any other house and the list price is based on the listing agent suggested price as well as an independent appraisal, typically ordered by the court system. If you are interested in a probate sale you can make an offer just as you would any typical property but, the offer must be accompanied by a 10% deposit. The representative will either accept or counter the offer just as in any other sale. This offer, however, is subject to the court's confirmation. Even though the seller might accept a buyers offer, they cannot commit to that offer until the court agrees. The representative will then petition the court to confirm a sale. A future closing date is in confirmed when all parties agree. Here's the downside, usually there is a waiting game that buyers need to play and during this time, the court requires that the property be properly advertised and marketed with the new accepted price. The court will take an accepted offer and raise it by 5% plus $500 and the total becomes the new probate price to be marketed. I know, this can sound confusing, which is why it is crucial to have a real estate agent that understands the probate process when buying these types of properties. Another drawback is that the 10% deposit may not be refundable unless the original buyer is into the final confirmed buyer. When a seller is deceased there's isn't anyone that is confirming the validity or integrity of the house, which means that a probate sale can be risky, because buyers may not understand what they are getting into. But, as with any property, a home inspection and an early inspection is your best defense. You should have the property inspected from top to bottom before writing an offer. Yes, this means that you may have to put out a little bit more money, but you'll have to have the inspection anyway, and confirming the properties integrity ahead of time can put you ahead of the game. Probate sales can be confusing but they also can be a great deal if you have the patience and have a great agent that explains everything. If you'd like a list of probate properties in the Palm Desert area please give me a call. We can discuss your needs, budget, and how to find the best deal in our area.